Allronian Forge is a close to Denver, Colorado local blacksmithing "shop" dedicated to teaching and to growing the passion of blacksmithing. We believe that blacksmithing shouldn't have to be a specialized industry depending upon pricey equipment and false mystical notions that have been perpetuated to prohibit the starting of such a fun skill. Simply bashing hot metal into the shape that one wishes it to become. With that said, all that is require to do blacksmithing melts down (did you catch that word usage) to three simple pieces: you need a heater, you need a basher, and you need metal. So come visit us and let us teach you a fun skill. My story to blacksmithing starts like many stories with a youthful wish. As a kid the "mystical powers" of a blacksmith dazzled my youthful imaginations as I dreamed of making the sword of all swords. 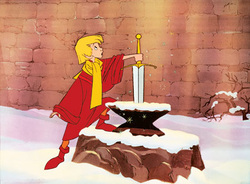 As I would like to believe that I'm not all that weird , I have a hunch that many of boys now grown up and those yet still young have been mystified by that same dream of forging that powerful sword. But as I grew from small to bigger I never had that opportunity of swinging a hammer at a piece of glowing red metal. I grew up poor but mainly without the gumption to make it happen, but despite my lack of initiative circumstances arose in which I was lead to a place where I was able to learn some of the skills of my youthful wish of blacksmithing. It wasn't on any fancy equipment or in an elaborate shop, instead it was in the backyard with a home made forge. With practice, quite a few mess ups, and a past full of crafting with my hands I quickly became skilled at swinging a hammer at some hot metal (which is all blacksmithing is). So where can you find my shop now? Still in the backyard with a home made forge. Maybe one day I will be found in a large shop, and I honestly hope for it, that way I can teach more people. However I will always cherish the backyard blacksmither.